As it turns out, what Sarah Assbring a.k.a. 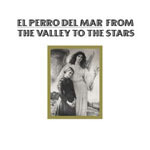 El Perro del Mar really needed was a makeover of sorts. Her self-titled debut from 2006 was briefly memorable studied melancholy and Spector worship; its followup, 2008’s From the Valley to the Stars, played at optimism yet came drenched in misery, “couchy idealism, and almost nauseating sentimentality.” Four years removed from that debut and two years on from From the Valley, I struggle to remember a single melody from the latter and can clearly recall just one, “This Loneliness,” from the former. Enter Rasmus Hägg, one half of balearic revivalists Studio. While that band’s label, Information, released only two albums in 2009, member Dan Lissvik worked with Fredrik Lindson of the Embassy as the Crêpes and handled production work for Lake Heartbeat, Taken By Trees, and a number of others. Whereas Lissvik’s production jobs don’t necessarily resemble Studio’s heady explorations, Hägg and Assbring meet somewhere almost halfway: Assbring provides clearly-defined song structure, Hägg’s work here adds textures and alludes to, but is never dominated by, his main project. 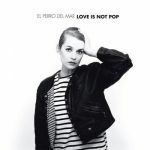 As a consequence, Love is Not Pop is not Studio backing El Perro del Mar, though that may have been a better record. It is, however, downtempo pop rooted in nostalgia for the late eighties rather than the early sixties—at time a whole lot more accessible than its predecessor. It’s not like Assbring’s music is suddenly happy or upbeat. All seven of these are breakup songs, and titles like “Gotta Get Smart,” “It Is Something (To Have Wept),” and “Let Me In” don’t do much to hide that fact. Lyrically, there isn’t a whole lot that jumps out, and Hägg’s productions help to address this, as Assbring’s melodies and soft singing compliment the strummed acoustic guitars, mobile bass lines, and subdued drums. The best song here, first single “Change of Heart,” is the most Studio-esque; a piano that gets hazier and hazier carries the basic chord progression, but by the time the chorus emerges it’s all low-end and vocals mixed so that one never overtakes the other, which proves mutually beneficial. Past “Change of Heart,” it’s Assbring’s own vocal performances that either carry or bury these songs. Opener “Gotta Get Smart” works mostly on the juxtaposition of the melodramatic synthesizers and her aching, fragile voice as it coos between verses. “L is For Love” gets lost in her repetition of the titular line, which her unsaleable melody renders meaningless. “It Is Something (To Have Wept)” passes by in a similar fashion, unfortunately, and “Let Me In” gets by on a wash of reverb but doesn’t leave much of an impression. Her cover of Lou Reed’s “Heavenly Arms” gets at least a little bit louder in its final minutes, but it takes careful listening to even realize that it’s happening. Closer “A Better Love,” manages to succeed entirely through its first and final line, as Assbring sings “This isn’t over till I say when / When.” For some inexplicable reason, from a songwriter as relentless in her sadness, hearing it break for even a moment can be revelatory, and Hägg’s 4/4 thump and subtle string arrangement works as well as “Change of Heart” does. When these songs sound like El Perro del Mar fronting the saddest, slowest disco band in the world, they work out best, but too much of this “mini-album” doesn’t quite get there. 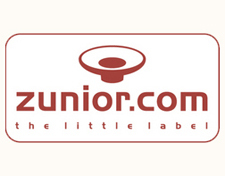 Tracks like “A Better Love” and “Change of Heart” prove that the duo has huge potential, and were the two willing to branch out more in their arrangements—shy away from the reverb-drenched pianos, push at melodies more compelling than the ones in the songs that follow the single, make the disco presence more overt—they could take advantage of Studio’s ability to turn the sixteen-minute blissout into something essential, and yield something engaging from start to finish. That repetition could help address the basic problems of half of these songs—most damningly, ceding too much ground to underdeveloped ideas.